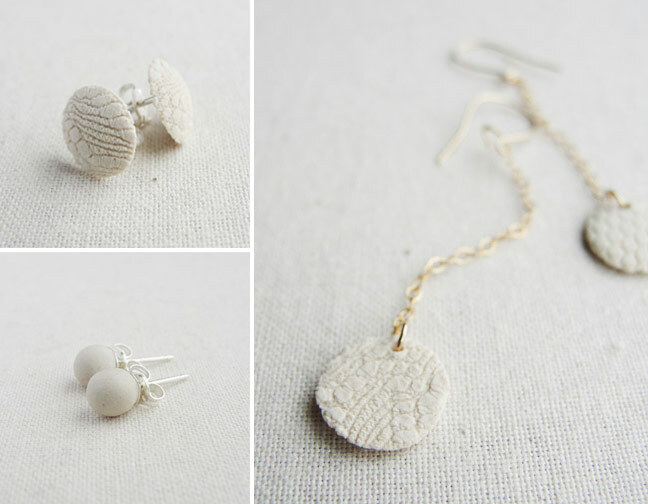 I make jewellery that’s close to the earth without being too earthy. 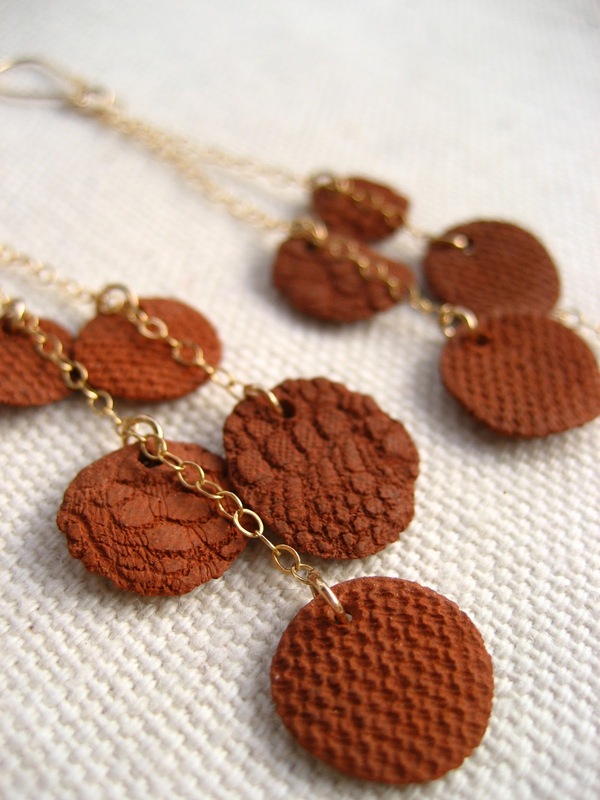 As described by Vancouver Magazine, I “pair clay and precious metal to delicate effect”. I try to design jewellery that is simple, elegant and natural and reflects my design aesthetic, love of the handmade and the natural world. Always nature! Bundling up and walking around my neighourhood on a rainy day; pilgrimages to the seaside; getting up close with my macro lens and capturing the perfect patterns and colour combination created by nature. I am always inspired by the simplicity, purity and joy of Lotta Jansdotter’s work. I started with my love of making things, wanting to be unique and not too influenced by whatever the current trend was. The next step was discovering that people liked the things that I made. Then getting involved with other creative makers, signing up for craft fairs, and organizing them myself! Then it’s all about staying focused and inspired and not stopping. I love getting down and dirty with clay. 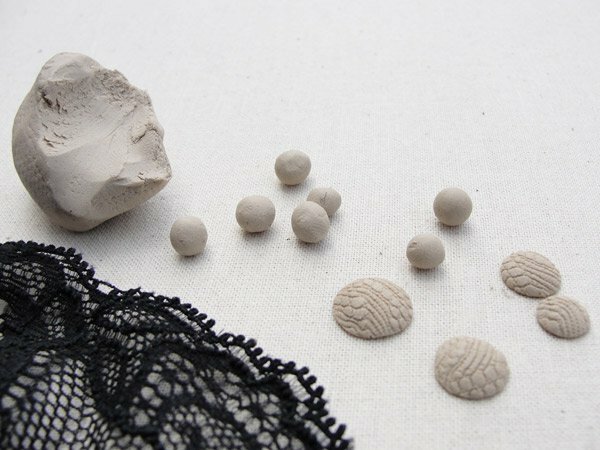 My current line of jewellery is really delicate so I can keep pretty clean making hundreds of little clay circles, but I’ll be branching out into some home products made on the pottery wheel that I hope to launch this summer. I get pretty muddy working on the wheel! Start retailing slowly. For my current line, I’ve still only got one retailer (Walrus on Cambie Street). The owners Caroline and Daniel are totally supportive and willing to give me advice on ways to improve my product and share feedback from their customers. Starting slowly gives me time to work out any kinks in my product before I introduce it to a wider audience.